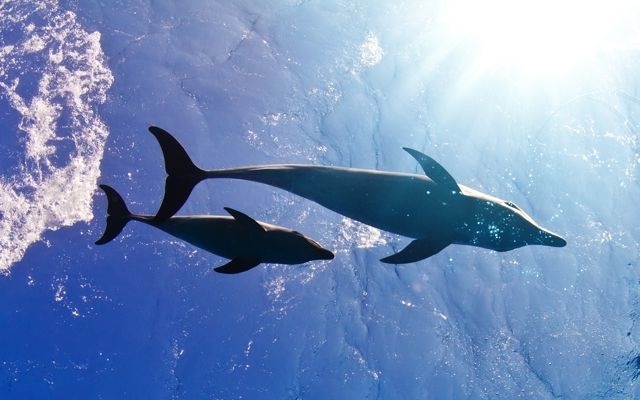 Mission: End a national whale and dolphin drive kill. It had never been done before. Could a perfectly conceived & executed plan end drive kills permanently? 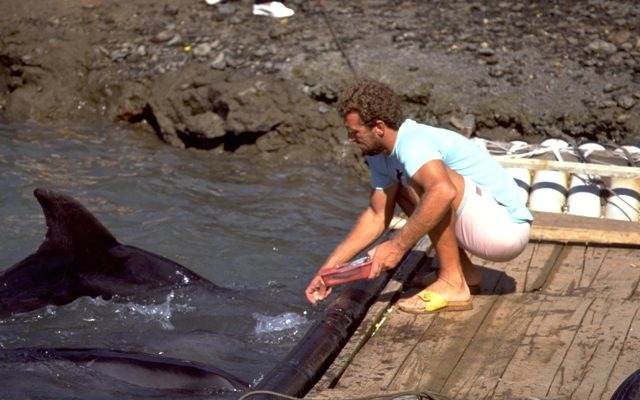 in 1980, ET board member Dexter Cate was held for 80 days in solitary confinement in Sasebo Prison in Japan, after untying the nets of a drive kill and helping dolphins escape. It was a personal action on Dex’s part, but we all worked to bring him home. 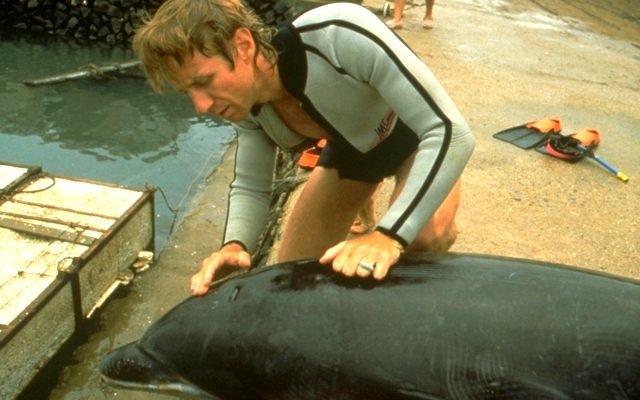 Dexter prepares to free drive-kill dolphins at Tatsunoshima in 1980. Clearly, the time to stop drive kills was before they became polarized by accusation versus nationalism. We needed to control the moment. ET’s solution was to place local videographers in nations where we believed unpublicized drive kills might take place, with instructions to document any kills which occurred. 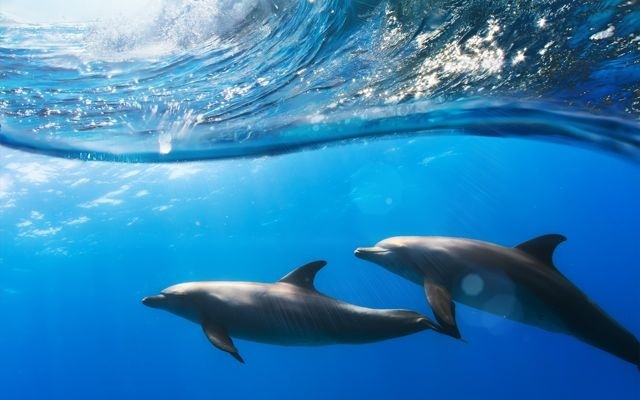 This paid off in Taiwan in 1990, when a mixed group of bottlenosed dolphins and false killer whales were herded into Peng Hu harbor, and a slaughter was begun. The footage was very grim, as bad as you could imagine. ET’s Stan Butler prepping drive kill whales and dolphins for release. What we DID do is immediately fly in a team of ET veterinarians, whale stranding experts, and negotiators. 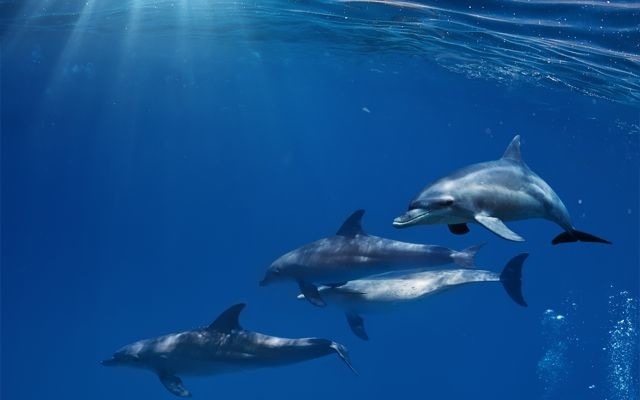 We worked so quickly that we managed toget authorities to temporarily halt the same kill our videographer had documented while half the dolphins and whales were still alive. 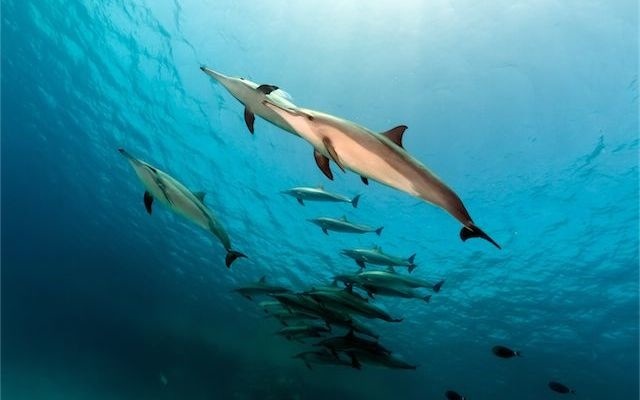 What followed was an intensive local campaign which brought together local university students and Buddhist leaders on behalf of making peace with the dolphins, and meetings with the fishermen who had corralled the dolphins and whales. And we edited that awful footage into the only presentation that was ever made with it: to Taiwan’s senate. We offered to let Taiwan’s senators write the ending to the story themselves, to prevent the sort of deadlocked issue and bad press which existed elsewhere in the world. 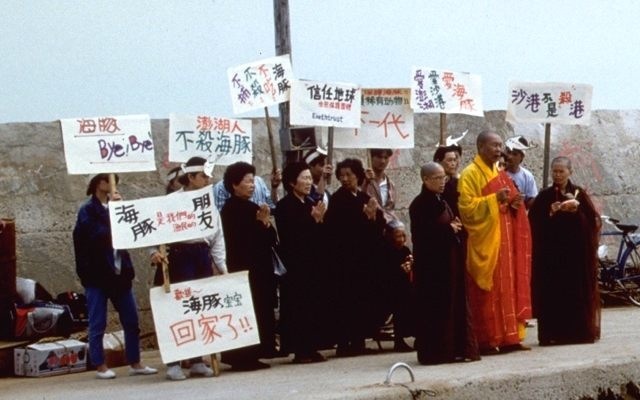 Local Buddhist monks, organized by ET, press to end the drive kill and release the dolphins. ET’s Taiwan team leaders Keith and Susi Highley visit the local schools to teach about dolphins and whales. 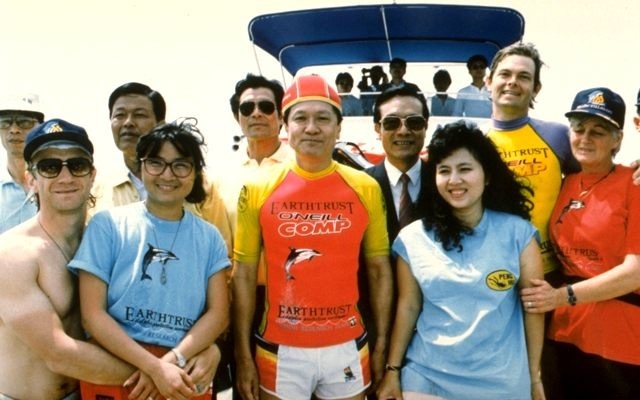 …and ET brought Taiwanese senators and staff to the area to participate in the first-ever whale and dolphin release ceremony. 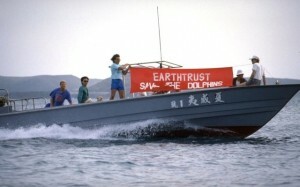 Thus, within two weeks of the initial video documentation of a grisly kill, Taiwan’s senate passed laws preventing dolphin and whale drive-kills, and some of those Senators donned EarthTrust wetsuits and joined with our staff to participate in the first and last “dolphin releasing ceremony” at Peng Hu, in which the remaining cetaceans were led out to sea and released. 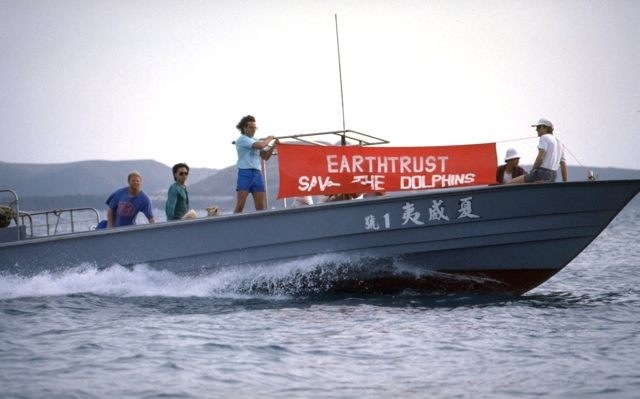 ET followed up after the release with local universities, Buddhist monks, and fishing cooperatives to make sure the law was followed, and returned in following years to patrol the waters of Peng Hu and to do outreach in the local schools about dolphins and whales. The following year, ET teams patrolled the waters and worked with local schools and businesses to encourage the change to become permanent. The strong positive response caused the national laws to be changed and enforced. This is still the only national dolphin and whale drive-kill ever ended by conservationist intervention. There were no other organizations involved. 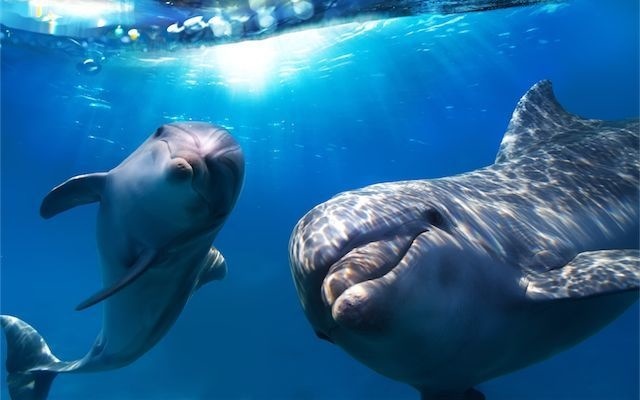 From the first stabbed dolphin until the laws were changed was just under two weeks, though our effort covered years. A perfect campaign at a high cost. We lost a bunch of money on this campaign, and that’s worth a short story too. 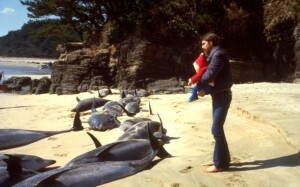 It was integral to the strategy that the horrible images were never seen by the public, and we honor that to this day. 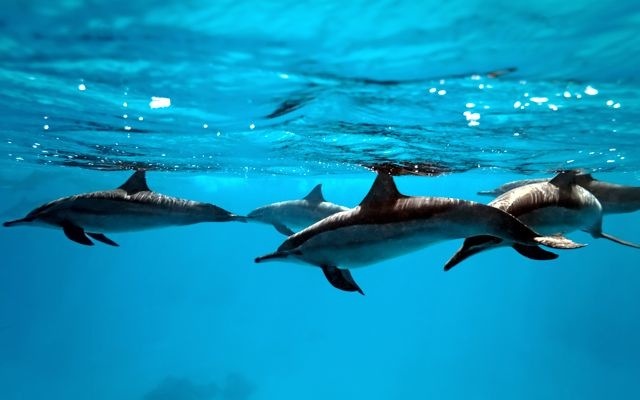 It would have made us big money in contributions, but it wasn’t what the dolphins and whales needed. There was no outrage because we short-circuited the outrage stage in order to solve the issue. Without outrage and mental distress, donations don’t happen. 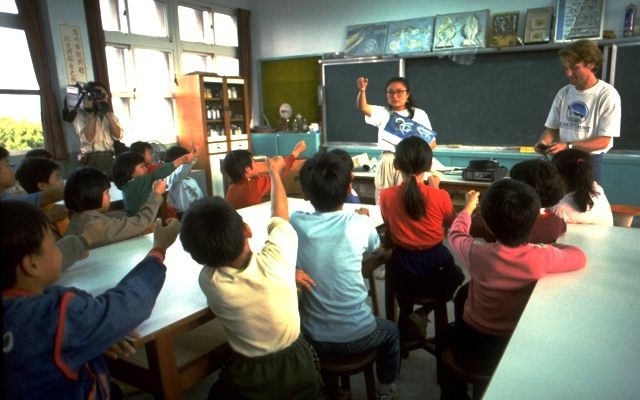 That is to say, solving a crisis quickly can be financially disastrous for an NGO. It short-circuits the whole angst thing and places you outside any grant cycles. You don’t get high-profile PR props for solving an issue quietly and permanently. You don’t get PR at all without showing your expose video. All you get is success. Nobody gives to a group that just did a low-profile cool thing, they give to groups who say they want to do a high-profile cool thing in the future. We lost money on the Peng Hu victory. Some of us had to kick in to help pay for this campaign from our own pockets. And you’ve probably never heard of it. The reason you’ve never heard of it is that an important part of controlling the situation was giving up our own credit, and staying relatively anonymous. 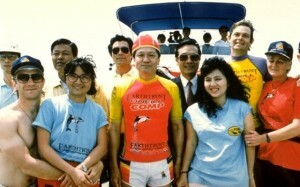 The credit went to Taiwan’s senate, and good for them. They were left feeling good, with handshakes and congratulations. Many groups care about, and have publicized, this issue. Only one group in the world has ever permanently ended one, and this was how it happened. 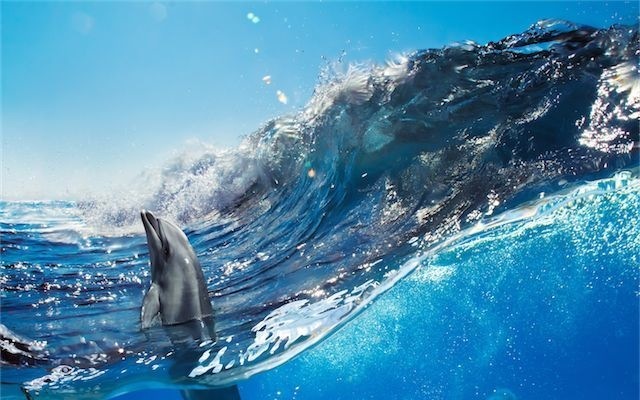 By planning to get the right images, acting fast to mobilize the right experts, controlling the images and controlling the timing, we quickly shifted the situation into a new stable state. The laws against drive-kills have stood successfully since the release ceremony in 1990. That’s many thousands of animals saved. So is it impossible to intervene and end the drive-kills of a nation? Well, so far it has been. Except for ET.